David and Matt's Wedding took place at Plymouth Registry Office, followed by the reception at the local pub in Pelynt. We provide 5 hours coverage from guests arriving at the Registry Office to the cutting of the cake. 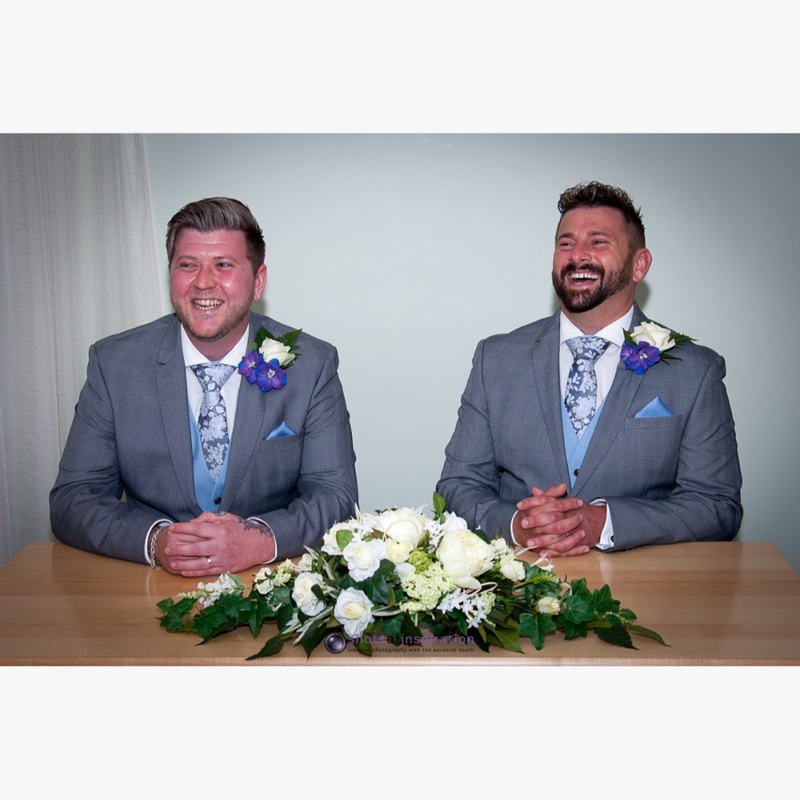 David and Matt had an album with 75 9x6 prints, additional prints in strut mounts and a USB stick with all the images taken on the day.